I just wanted to let you know that my exam was today and I passed it on my first try with flying colors! Your study guide and the online exam practice was enormously helpful and I don't know if I would have done as well without them. PLEASE NOTE THAT ORDERS PLACED BEFORE 1:00 PM EST WILL SHIP THAT BUSINESS DAY. OUR MATERIALS ARE REVIEWED AND UPDATED EVERY YEAR TO ENSURE THAT THEY CONTAIN THE MOST CURRENT INFORMATION. OUR AUTHORS SPEND MANY HOURS REVISING AND UPDATING OUR MATERIALS EACH YEAR AND DUE TO THE PROPRIETARY NATURE OF OUR PRODUCTS, WE HAVE A VERY STRICT "NO REFUND" POLICY ONCE THE MATERIALS HAVE BEEN RECEIVED. In this package, you receive: On-site Exam Prep and Review Program, plus Study Guide Manual, Flashcards and Unlimited On-Line Exam Access for 1 year. In this package, you receive: On-site Exam Prep and Review Program, plus Study Guide Manual, and Unlimited On-Line Exam Access for 6 months. PLEASE NOTE THAT YOU MAY SELECT TO RECEIVE YOUR MATERIALS EARLY BY CHOOSING THE "SHIP IMMEDIATELY" OPTION AT REGISTRATION. 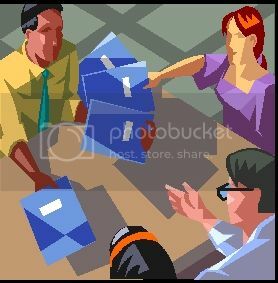 OTHERWISE, YOUR MATERIALS WILL BE WAITING FOR YOU AT THE WORKSHOP. 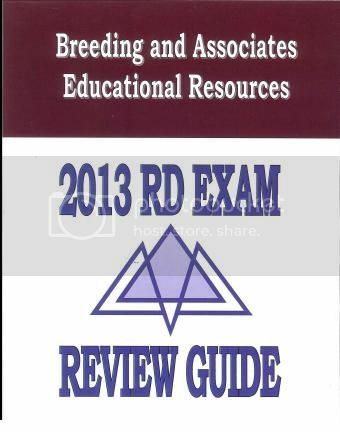 In the Breeding and Associates Registered Dietitian Exam Review Guide package you will find a variety of test preparation and practice options. 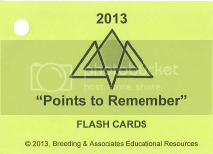 The "Points to Remember" Flashcard program is a compilation of over 600 critical concepts you must understand to pass the Registered Dietitian Exam. Studies have shown that repetition is the most effective form of learning. Flashcards make repetitive learning fun and fast. This workbook has been designed to be an extra skill builidng tool for those who may need more practice with culinary calculations with relation to the Foodservice Systems domain.